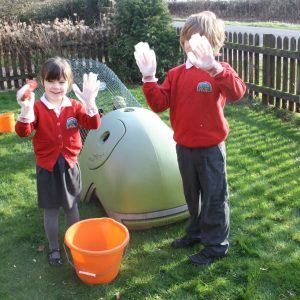 We offer Schools, Nurseries, Childcare Centres and Care homes, the opportunity to experience hen keeping and the benefits it brings to pupils, whilst removing the worry and on-going responsibility. Keeping hens helps connect young people with their environment, food and animals in both urban and rural surroundings. 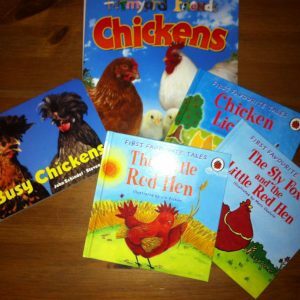 We provide you with the expertise, resources and information which are prepared by our teaching staff to make hen keeping in school easy, fun and rewarding. Students can be fully involved in looking after the hens without additional staffing time. 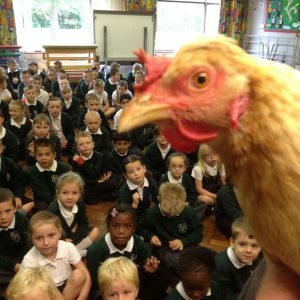 Hens are a creative and distinctive aid to teaching the National Curriculum, in areas such as Maths, English and Literacy, Art and Science, as well as offering great time for students outside by ‘hen watching’ and caring for the hens. We offer Residential and Care Homes the opportunity to experience hen keeping and the benefits it brings to residents. Full support and training provided. Find out more about this service. Learning materials which include lessons plans, presentations and worksheets created by our teaching staff. Along with posters, arts and crafts ideas and support from young enterprise related to hens and eggs-all part of our online Chicken Club. Option to purchase your Hen Package at the end of the hire period. 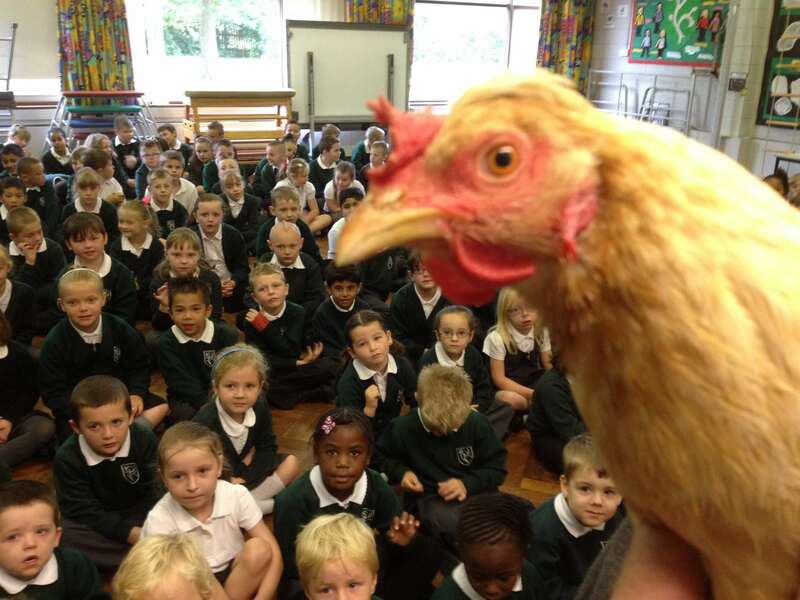 Of course any school could get hens and go DIY, so why work with us? As each of our customers have different needs and requirements. Depending on the distance from our HQ and hire period our prices are bespoke so please contact us for a personal quote along with the terms and conditions of hire. Groups of schools in the same area booking together will receive a group discount. The welfare of all the poultry we hire out is the core belief of our business. Hens for Hire support the view that all animals have a right to life free from cruel treatment and unnecessary suffering. Hens for Hire recognise that animals are capable of feeling, capable of enjoying a state of well being and equally capable of suffering. Therefore Hens for Hire considers that the organisations hiring hens are responsible for ensuring that the welfare needs of the hens are met during the hire period. This statement does not cover every aspect of animal welfare, but it does aim to detail those areas that Hens for Hire considers important. Hens for Hire support all current animal welfare legislation. The Animal Welfare Statement will be reviewed regularly and if necessary revised from time to time to reflect changes in legislation and to address any changes in our working practices. 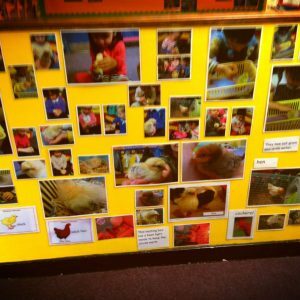 Hens for Hire’ at Longwill School for Deaf Children- or ‘a little bit of country’Longwill is a small Special school for Deaf children in Birmingham – landlocked and urban with many of our children living in the inner city with a high level of deprivation. For many years I have wanted to enhance our outdoor environment and particularly to give the children a real animal experience. Next problem… How nice does one have to be to a caretaker to persuade him to look after them in the holidays? Then I saw an advertisement for Hens for Hire! We’re off!The wonderful, children’s picture-book famer, Claire Peach, arrived at school with all the kit and two beautiful, ready- to- lay the next day (and they did!) fully vaccinated, beautiful chickens.They are called Henny and Penny ,they are lively, clucky, busy, not too smelly, fascinating to watch and to find out about…and the children love them and even better, do not tire of caring for them and getting the big reward of two eggs every day. We have a ‘year- group a week’ as hen monitors, we make graphs of their egg count, make mini-enterprises egg-selling weeks, write stories about their imagined adventures when they go away for their holidays, we make films about their care, we have the most engaging assemblies and ‘The Golden Egg Award’ for most creative egg use, and our sign language using pupils are able to fulfil all their language and Speaking and Listening requirements.But the best thing is….a bit like the grandchildren…Hens for Hire go home again to their other life in the holidays leaving me the guilt-free and happy! 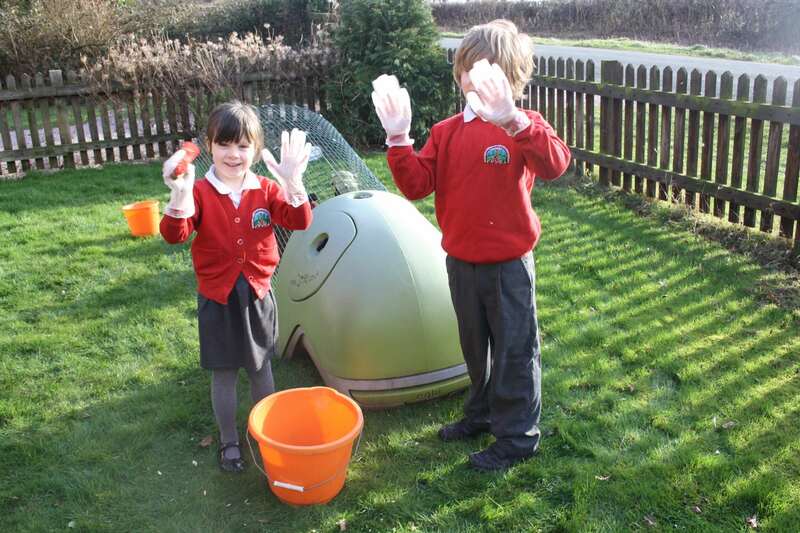 We decided it would be fun and also a great tool to house chickens within our school grounds.We contacted Hens for Hire and discussed our ideas with them and within a few weeks our hens had arrived, staff trained and we had our first eggs!We have now had our two chickens for nearly a year, and I have to say how fantastic an experience this is for our children. 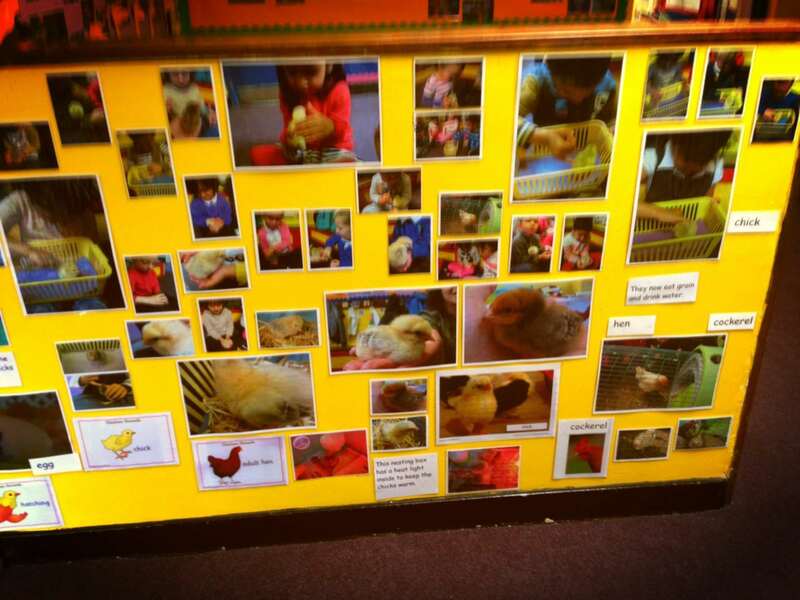 The chickens are extremely easy to keep and enhance the children`s learning of life cycles, where our food comes from, and most importantly being responsible for looking after a living thing! 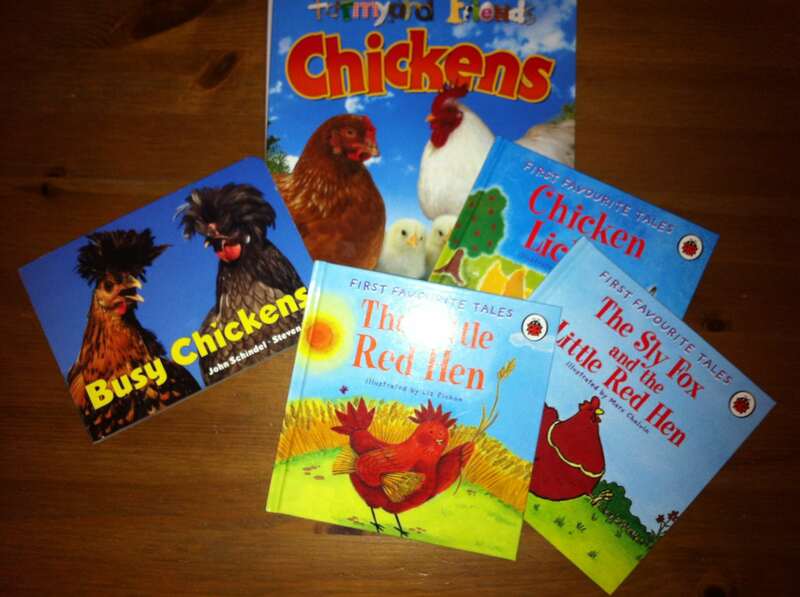 They are also fabulous to use as a reward tool for children struggling with their behaviour. They love feeding the hens and collecting the eggs too! Some even enjoy cleaning them out, once or twice a week.I feel that having our hens has made a fantastic difference to our school and I would highly recommend keeping them to anyone.